The most common uses for Hyperbaric Oxygen Therapy (HBOT) are to treat decompression sickness and carbon monoxide poisoning. However, the list of diseases and conditions treated in the hyperbaric oxygen chamber is extensive. It includes closed head injury, stroke, cerebral palsy, autism, Lyme disease, swelling (edema), joint-related issues, peripheral neuropathy syndromes, poor circulation, reflex sympathetic dystrophy, complex regional pain syndrome, chronic fatigue syndrome, crush injuries, brain edema, near drowning, acute hearing loss, radiation myelitis, certain liver disease, and recovery following cosmetic surgery. Additionally, it can increase the effectiveness of some antibiotics and stimulate new blood vessel growth to increase circulation in areas of poor circulation. 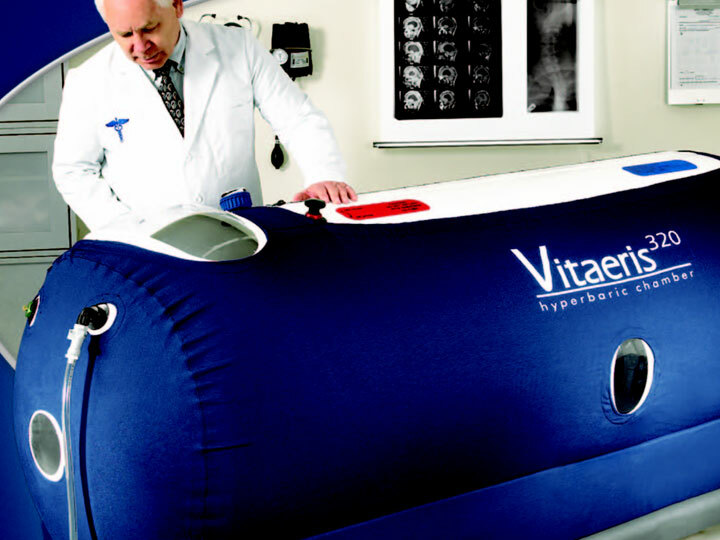 Our mild chamber, the Vitaris 320, by Oxyhealth is used by over 300 NFL players to enhance sports performance and speed recovery of injuries. By placing someone under pressure in a hyperbaric environment, there is an increase in the gas pressure forced into the lungs. This increase in gas pressure, increases the partial pressure of the oxygen gas, and thus forces more oxygen to be dissolved in the plasma. This saturation of oxygen in the blood allows the extra oxygen to be diffused or transported to the surrounding body tissues promoting a healthy, healing environment for the body. 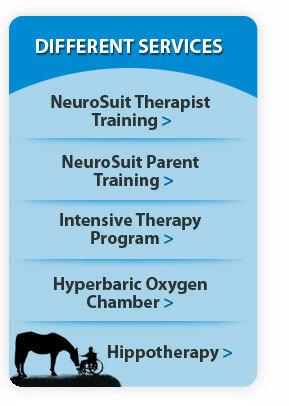 HBOT treatments are available for children, teenagers and adults who can benefit. Contact us for details NeuroSuit@gmail.com.